← 29th Summer Universiade Taipei 2017: RG 27-29 Aug.
35th RG World Championships Pesaro 2017, 30 Aug.-03 Sep. This entry was posted in Event and tagged World Championships Pesaro 2017. Bookmark the permalink. 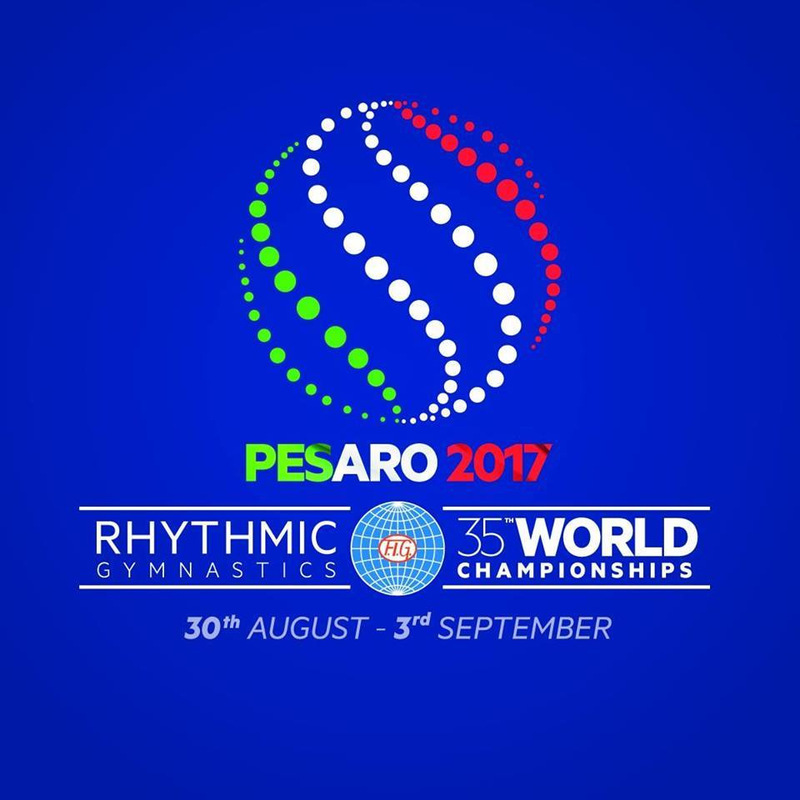 18 Responses to 35th RG World Championships Pesaro 2017, 30 Aug.-03 Sep.
Live streaming of competition finals: Watch finals from Pesaro in real time on YouTube! Links to the livestream will be shared on the FIG Facebook and Twitter accounts before the competition begins. 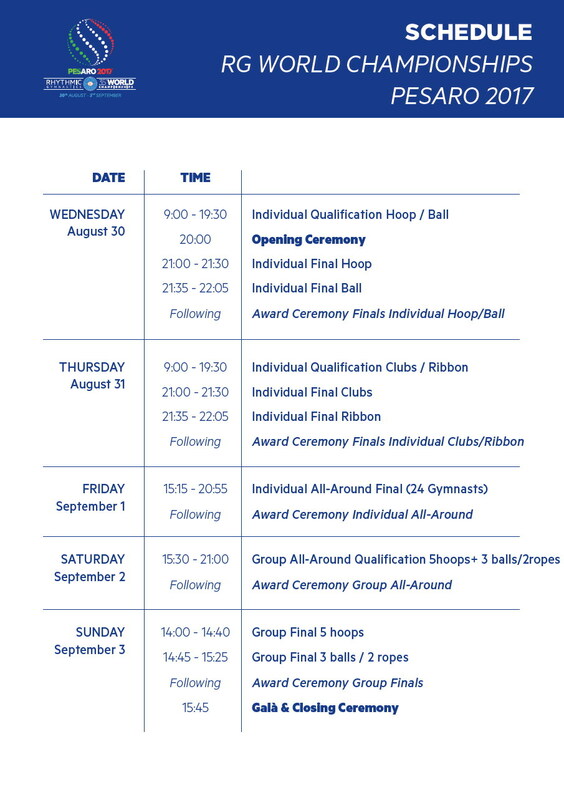 Links to the livestream will be shared on the FIG Facebook and Twitter accounts before the competition begins. translation by UEG: France’s Kseniya Moustafaeva withdraws from the World Championships in Pesaro to let a knee injury heal. Wishing Kseniya a speedy recovery!